Did you notice the traffic police or the bus drivers in their uniforms on your way to work? Have you noticed that thehelper in the spa or the workers at a construction site? Though these people are in completely different professions, one thing common amongst all is that they wear uniform to work. Do you know that the people in medical, hospitality,constructions, security and other professions are required to wear uniforms for certain reasons? Plus, there are uniform manufacturers who custom design uniforms for each profession. Wearing a uniform means that all the people in the group are similar and need to be treated equally. In the armed forces, police force, manufacturing units, and other professions, all employees are required to wear uniforms. This prevents them from being treated differently if they are from different backgrounds, ethnicities, social or economic classes, and other strata of the society. It brings everyone on the same platform and creates a sense of oneness between them. Moreover, it develops a team spirit between co-workers. In some cases, uniforms help distinguish one set of workers from other based on their designation or their roles. In a hospital you can easily identify a nurse, doctor, ward boy or any other staff according to their uniforms. In this case, the differentiation is essential as it helps patients and others to identify the right people to approach. In many cases, uniforms are designed to ensure the safety of the workers. 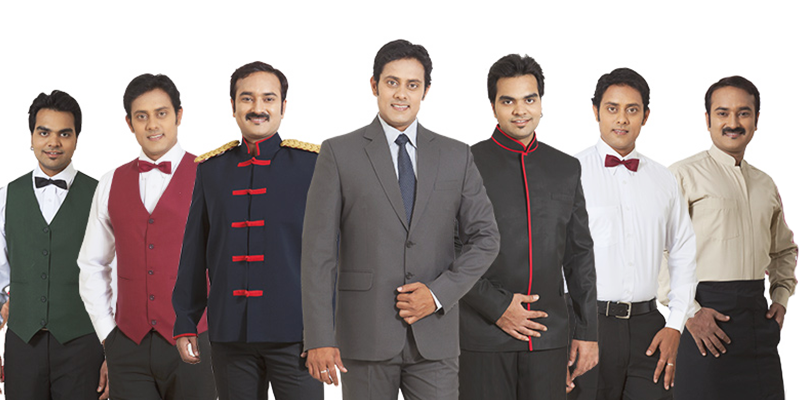 Uniform manufactures in Bangalore keep this in mind while designing uniforms for different professions. Workers in the construction industry or those working on the roadways need to wear high-visibility jackets and caps for safety. Similarly,their shoes should also provide the optimum safety when they are working on uneven ground or high up on the scaffold. Those working in the factory line need to wear uniforms that protect them from potential hazards in their work area. Bonus point : Wearing uniform to work also means you don’t have to worry about organising an outfit for work every day! Imagine the time it will save you. Plus, in most cases, the employers provide the uniforms, so you don’t even have to spend on buying uniforms. Unipro is one of the leading uniform manufactures in Bangalore that has more than 15 years of experience in designing and delivering the best quality uniforms. We also tailor uniforms for custom sizes. Contact us for customized uniform designing.